When your leadership legacy is a 130,000-ton cruise-ship that redefines the meaning of luxury, there’s little wiggle room for mistakes. At the end of a two year journey ideating, designing and building the Edge, Celebrity Cruise’s CEO, Lisa Lutoff-Perlo can be proud that is almost impossible to find any areas that need improvement. 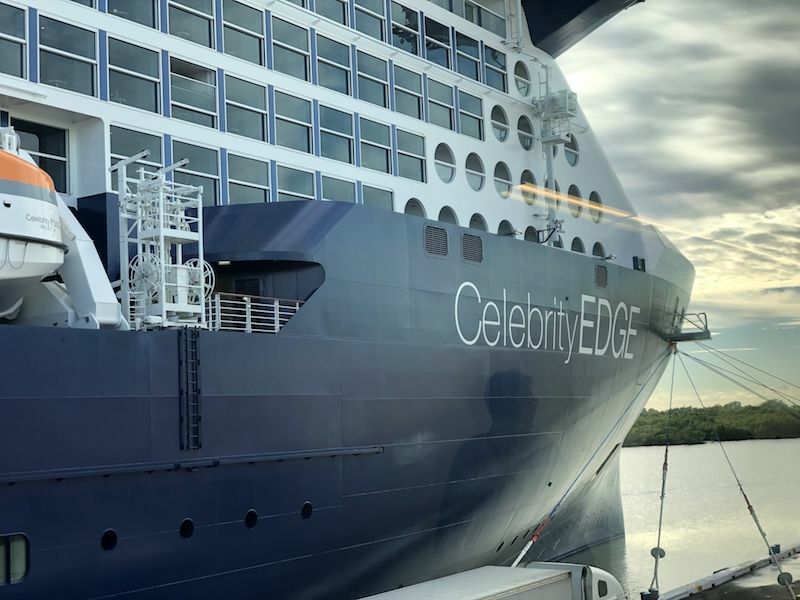 Celebrity Edge is so close to perfection that probably only Lisa can detect the deviations from her vision. The woman said that there weren’t any hooks to keep the towel handy after you showered. Wow. The ship is missing a few hooks in convenient places. Take a second to digest that. A 130,000-ton ship, with the most innovative technology you have seen anywhere, let alone in a ship, it’s missing a few hooks. I’d say, mission accomplished, Lisa! 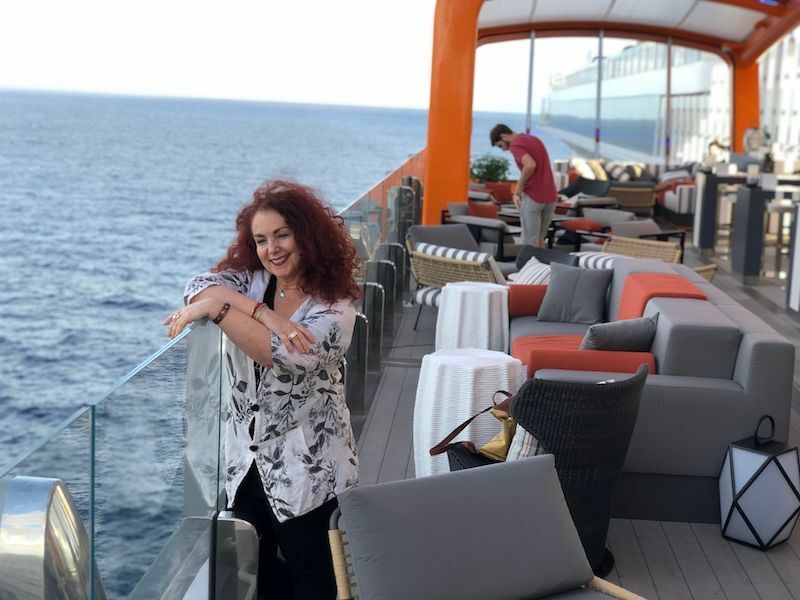 I was invited by Lisa herself to join the inaugural sail of Celebrity Edge. And to describe my experience on the ship is to minimize it right away. Because some things are hard to put into words. After a few minutes on board, the Wows and OMGs don’t do justice to what you’re feeling. For starters you should know that I’m not a frequent cruiser by any stretch of the imagination. If you ask me to choose, I’ll arrive to my destination by plane and walk once I arrive to my destination. But Celebrity Edge completely changed my mind. When you step into this self-contained universe, you quickly realize not all ships are created equal. Magic Carpet on Celebrity Edge. A very unique detail created that undoubtedly is part of Lisa Lutoff-Perlo’s leadership legacy. 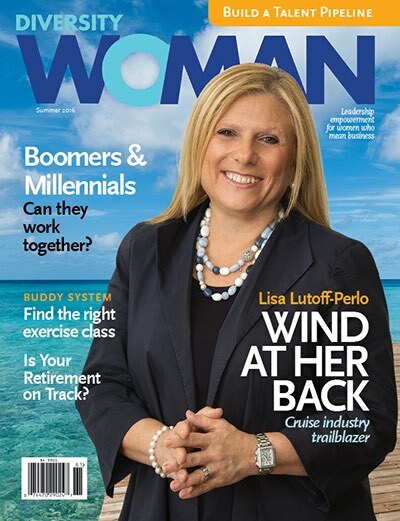 When she took the reigns of Celebrity Cruises, Lisa Lutoff-Perlo, or LLP, as she’s known to her team, had a powerful vision. She wanted to revolutionize the cruise industry and particularly redefine the luxury category. She got started right away. 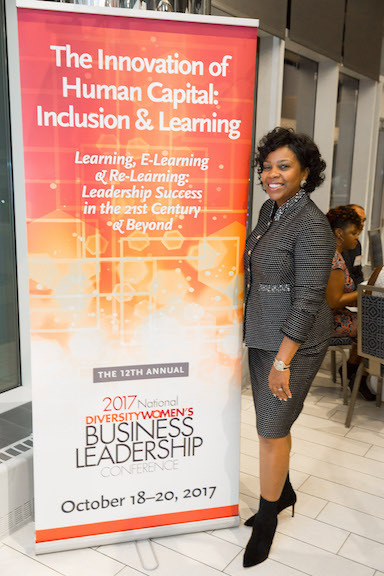 One of her first decisions was to increase diversity and inclusion on the bridge and at the executive level in the organization. (We talked to her about this in her Hall of Fame interview.) That step spoke volumes about her commitment to affecting change in a traditionally male-dominated industry. But pushing boundaries is never easy, whether it is gender stereotypes or established ideas of what a luxury experience should be. And here, LLP’s inability to hear “no” is without a doubt one of her strongest assets to push forward. She threw away the book and invited her team to think as if the sky were truly the limit. And she did it with a level of care and intentionality so all associates could take her at her word and be at their best proposing innovative solutions and totally out of the box ideas. A deliberate focus on facing the sea includes the Gym’s equipment. 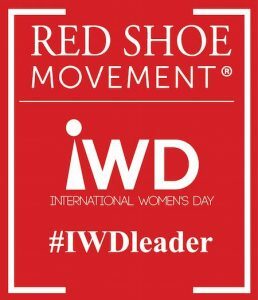 When I visited Royal Caribbean’s offices in Miami for our “Ring the Bell on the 7 Seas with Celebrity Cruises,” a Red Shoe Movement Gender Equality global initiative, I saw The Cave. The secret place to which only a selected group of Celebrity executives and designers with special “clearance” had access. They got together with their counterparts in other parts of the world and used virtual reality to ideate and design the Edge. Every detail of the ship from the cabins to the chairs, from the circular theater to the incredible art pieces was created in this space. An unimaginable number of hours and sharp attention to detail went into this process. The result is pure magic. It’s a magic you feel in the smile and polite “hello” of every crew member you meet; in the ocean-facing lounge chairs; in the way the infinite veranda in the staterooms brings the sea indoors, and in the three story Eden— the garden-like bar where actors are in a seamless interaction with the guests. One of Lisa’s most remarkable legacies might be the sense of awe that this ship inspires at every turn, a hard task if there ever was one. At a time when sensory overload seems to have dulled our senses, you feel them come alive on Edge. A number of iconic villas that range in size up to close to 250 square feet offer an amazing travel experience. 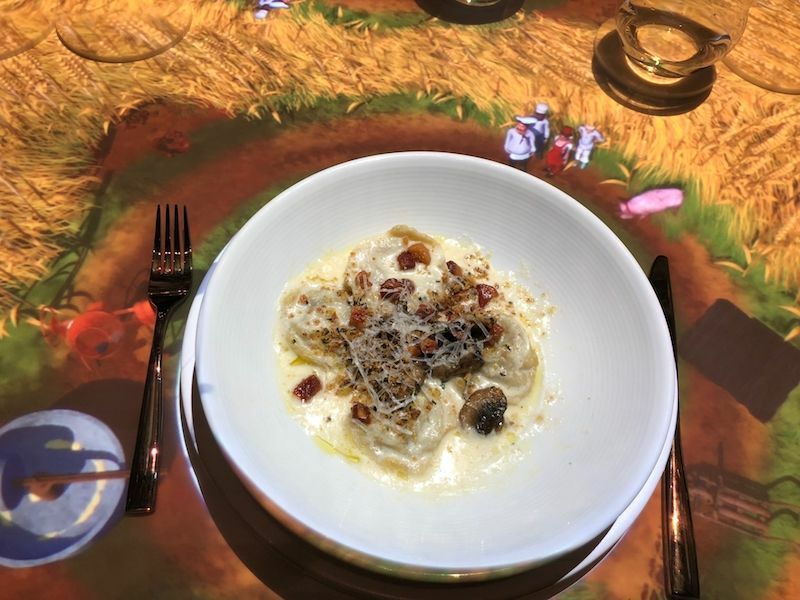 One of my most memorable experiences on the ship was dinner at Le Petit Chef— an unassuming restaurant with just a small, one-page menu. The dinner was arranged for a group of six and as we sat at the table, we noticed each plate was lit up from above. We would soon find out why. As the lights in the restaurant were dimmed, a projection over each plate and seating area began. It was the animated, brilliantly illustrated story of a competition between four chefs. While all of us stared in utter joy, laughing like five year-olds the little characters walked across our plates in an endless back and forth preparing a specific dish. Once the dish was finished and the image of it projected on our plate, waiters would simultaneously place the real food— which looked exactly like the illustration— on everyone’s plates. Voilà. The food tasted delicious but the immersive experience was incomparable to anything I had seen before. And that’s the point. The constant surprise, the lasting feeling of having been through a unique moment, the relentless upending of assumptions. And underneath it all, a warm sensation akin to… love? Yes, you feel the love with which each detail has been planned. The love that every person involved with any part of this ship, has put into it. I know it sounds corny, but it’s true. 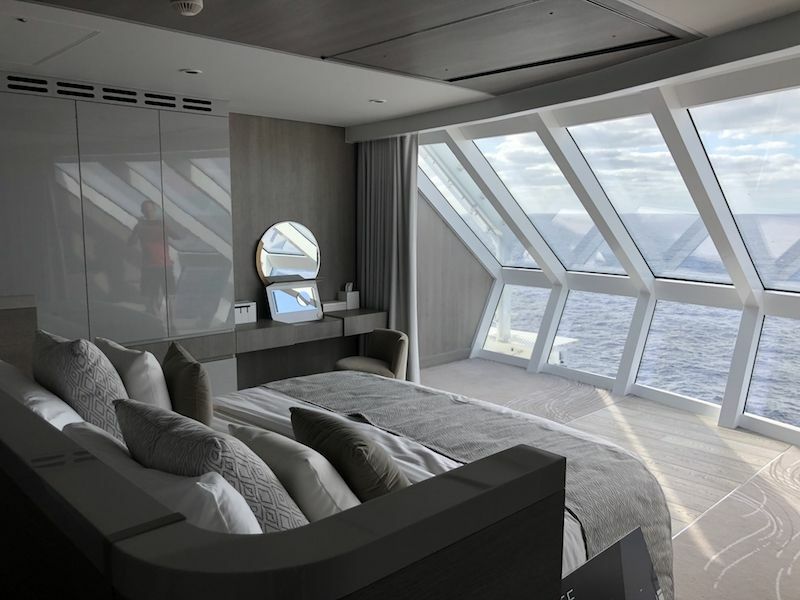 When LLP and her team set out to redefine luxury, it’s not only the luxury segment of the cruise industry that they ended up redefining. In the end, they are part of a larger industry: Travel and leisure. You feel it in your bones when you step into the Spa, my second top highlight of the trip. A 22,000 square feet area that has nothing to envy the best ones in the world. And very likely as close to walking into paradise as you and I are ever going to get. The kinds of treatments that they offer hail from all over the world. You can tell that they’ve researched the most innovative, effective and pleasurable treatments out there to bring onboard not only the best, but also the least well-known. I lay down on a warm waterbed while I got rubbed down with a special brush that activated my metabolism and then got covered in a seaweed paste. 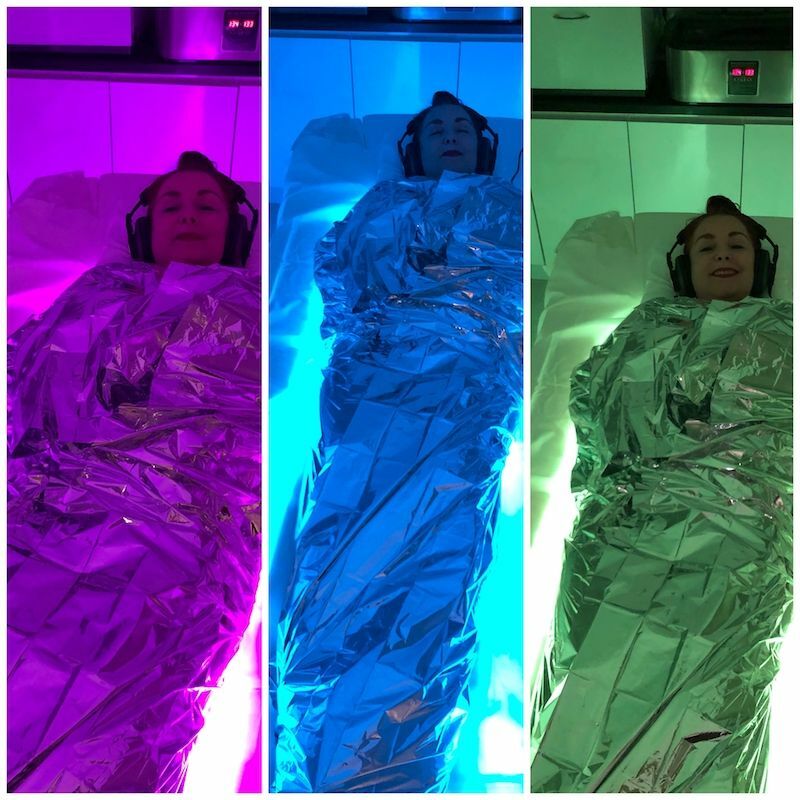 Wrapped in foil like a human taco, the music in my headphones was helping synchronize the right and left side of my brain while my feet were being massaged. By engaging all my senses I was transported to a different dimension. What does it take to get to that point of sheer satisfaction with your work? Knowing that you brought to life your vision, that you steered your team in the right direction? What does it take to fully own that accomplishment so you can build on it? It takes a solid, humble leader who knows that the most important legacy you can leave is a set of unbreakable values that outlive you. Values like passion, a sense of fairness, and real love for those around you. Values that point North regardless of where the winds blow from. That keep your hand firmly on the steering wheel looking forward, always leaving the future behind. 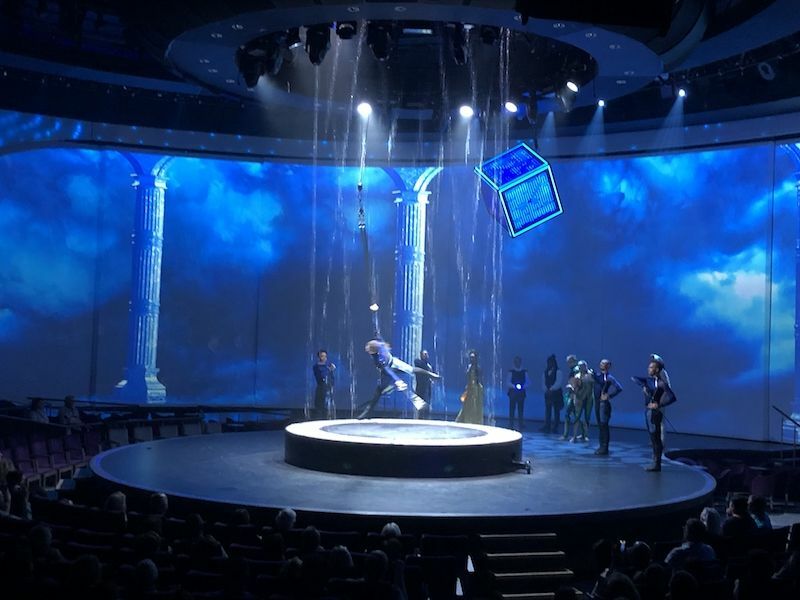 The circular theater on Celebrity Edge offers top innovations in technology like the rain curtain. If there is something that defines Núria Vilanova Giralt, it’s her warmth. She inspires confidence as soon as you meet her, a critical trait not only for a communications entrepreneur but for any influencer. Meet her and get inspired! Núria Vilanova Giralt began her career at 18 as a journalist. 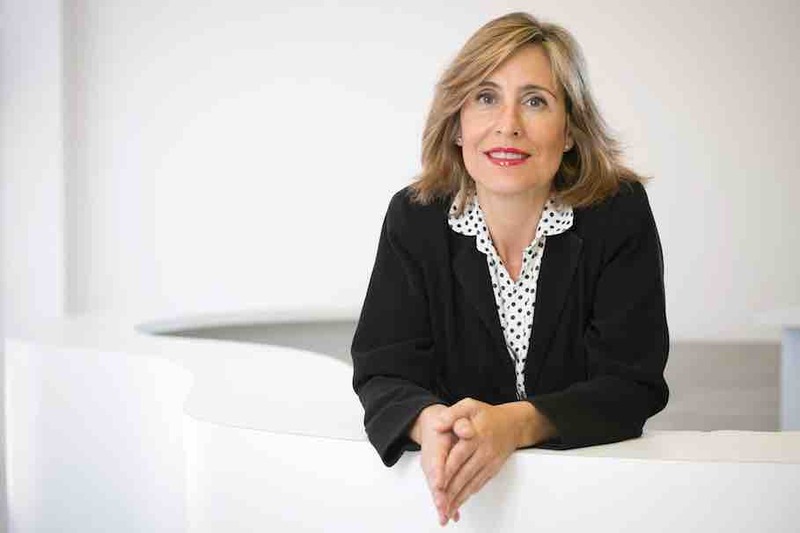 At 23 she founded with her mother the communications company Inforpress (“renamed” ATREVIA in 2015), nowadays the largest communications company in Spain. With a team of more than 300 people and offices in 13 Latin American countries, in the United States, Belgium and Portugal, ATREVIA’s vocation is to lead communications in Spanish and Portuguese. 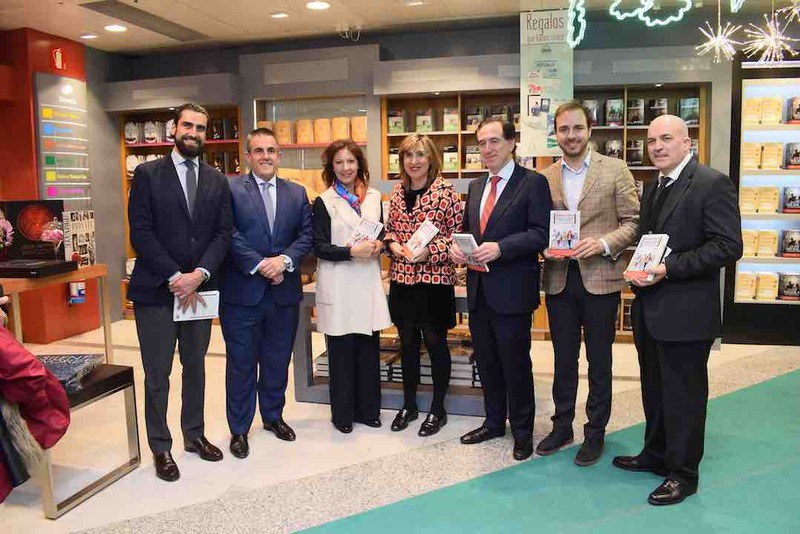 Among the many organizations in which she participates, Núria is president of the Consejo Empresarial Alianza por Iberoamérica (CEAPI), a network of influential businesspeople in the region, that aims to stimulate the exchange and cooperation in the private enterprise. She is the founder and co-president of the Observatory of Internal Communication and Corporate Identity, with the School of Business, Instituto de Empresa and author of two books. She has received multiple recognitions among them, la Cruz de Oficial de Isabel La Católica, one of the highest-ranking recognitions in Spain. She has also been awarded the Fidem Prize for Entrepreneurial Women and appears in several rankings as one of the TOP 100 women in Spain and one of the 10 most influential CEOs in social media in that country. 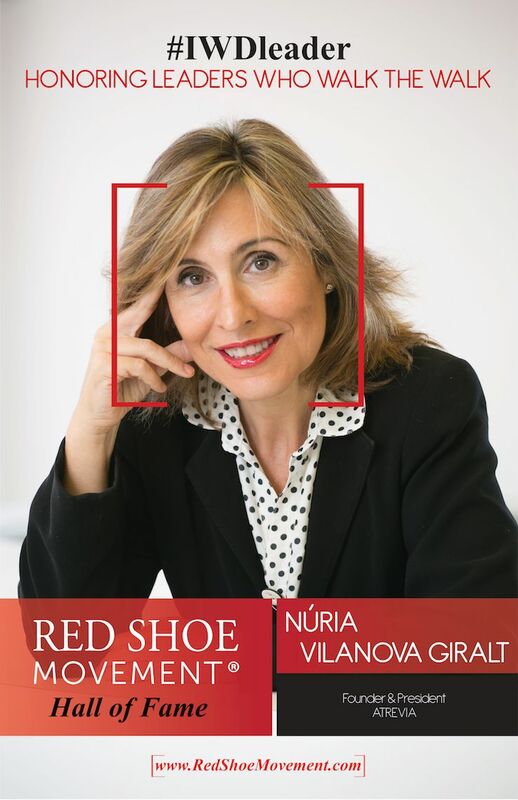 For blazing a trail, breaking down barriers, leading with an inclusive vision, and for being a role model of leadership for the 21st century, today we honor Núria Vilanova Giralt in the Red Shoe Movement Hall of Fame. 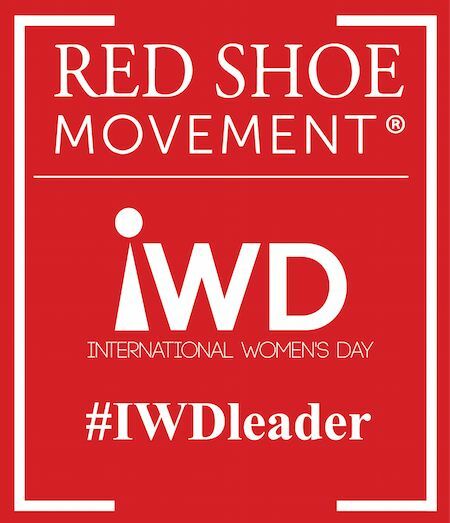 Red Shoe Movement—How do you see female leadership in Europe? 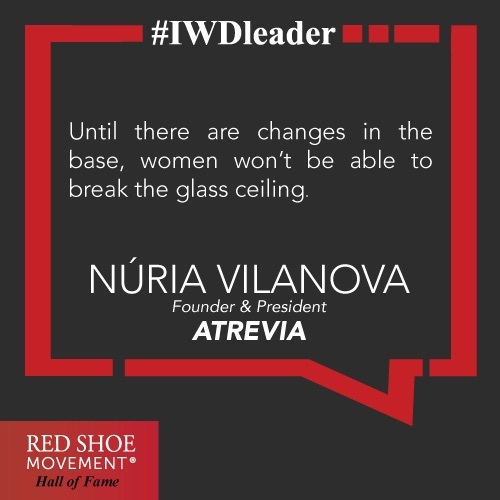 Núria Vilanova Giralt—Giant steps towards progress have been taken, but there is still a long way to go to achieve gender equity. It is important that administrations move, but even more so that there are changes in the leadership of the organizations and, fundamentally, in the base of society, where poverty is much more cruel to women, who suffer violence and harassment. Until there are changes in the base we won’t break the glass ceiling. RSM— As a communications company, one of your strengths is Latin America. What do you think are the strengths of women in the region? NVG—Latin American women are strong, excited and eager to change the rules of the game. 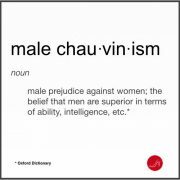 Their talent and tenacity has allowed them to position themselves in traditionally masculine sectors. They have become a fundamental part of any organization, either because of their contribution to their teams or because they occupy positions of responsibility. 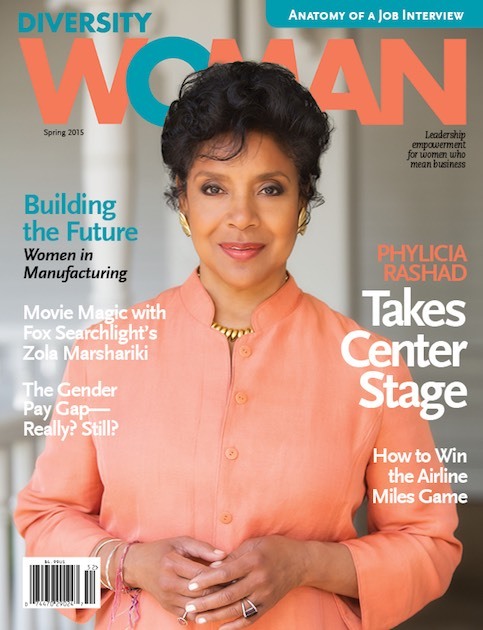 RSM— What makes women great leaders? NVG—We women are optimistic. What we have achieved compared with the generation of our mothers is incredible. We know that the world will be different in the coming years but, please, let’s make sure that it is also different for women. RSM—You are personally involved in several initiatives that promote gender parity in the board of directors and high decision-making positions. Could you share about that a bit? NVG—Yes, ATREVIA is a signatory of the agreement promoted by the Spanish Ministry of Health, Social Services and Equality to increase the presence of women in management bodies and boards of directors of companies. In addition, at ATREVIA we began ten years ago to study gender equity in corporate boards of the main companies listed on the stock exchange. Back then there were 5% of women. Today there are 20%. It is evident that progress has been made, but to deepen this progress, a social commitment is needed. We have also promoted the Mirada Plural Platform, formed by women leaders in different areas. It promotes the creation of a network to increase the presence of women in the media, committees, institutions, councils and associations, as well as promoting networking and the collaboration from the people with diverse backgrounds. RSM— What recommendations do you have for a leader to effectively communicate her personal brand? NVG—They must be very present in social media, interacting, informing others and informing themselves. Communicating with responsibility and with the commitment to do things well and, if mistakes are made, apologize and rectify. Today’s society and organizations impose a new model of leaders, imperfect but connected, who move by the imperative of listening. Leaders must be able to get in the front row to reach people, roll up their sleeves and stand by their team. RSM— What gives you hope in today’s world? NVG—The attachment to values, solidarity, empathy and the power of communication to transform realities. I think the democratization of knowledge, the globalization and the breakdown of barriers thanks to the Internet that makes our society live an authentic revolution seem very hopeful. Today, more than ever, decision-makers are aware that they must put their hearts and minds to think about people. RSM— In terms of leadership lessons, can you share one of your personal failures and what you have learned from it? NVG—Each failure and each adversity represent an opportunity to improve and grow. In 1989, when I had only been an entrepreneur for six months, I lost my only client. I had two options: sink or find something that could help me keep the office and pay my secretary’s salary. So I had no choice but to go get new projects. Since then I have learned to transform negative situations into positive ones. Every one of my company’s great milestones have taken place after a crisis. For example, in 2008, on the 20th anniversary of the company (called Inforpress at the time), we had 150 employees and seven offices (six in Spain and one in Portugal.) The global economic crisis was starting, and our customers were calling to ask for discounts or to cancel their contracts. I decided to bet on myself and on the team. So we organized a conference with the 150 workers and spent three days together figuring out the strategies to overcome the crisis. We came out of that conference stronger, with clear ideas. Once again, thanks to an obstacle on the road and in the middle of a turbulent time for the communication sector, we were able to grow by 25% and expand by opening offices in Brazil, Colombia and Peru. RSM— Who were some of the most influential men and women in your career? How exactly did they influence you? NVG—Among the members of my family, without a doubt, my mother. When I decided to start my company at the age of 23 – then called Inforpress – my mother decided to embark on the adventure with generosity, accepting decisions to open new offices and take risks that she did not want for her daughter. He has been the support of the project. Caring for detail, organizing chaos, monitoring profitability. She took care of everything that I neglected: the financial, accounting, tax, legal issues … and on many occasions she has been the mother for the team, the one who knows when someone really needs a hand. And my husband, who has joined the project, an ally of my mother in taking care that everything works and also assuming the challenge of innovation and technology in a world where what is communication without technology and big data? RSM—Can you share with us the story of a person whose life or career changed thanks to you? NVG—We all change and we influence each other. Each of the people who worked at my company has left a mark. But perhaps an exciting moment was when at a dinner of the Association of Down Syndrome in Spain, her colleagues congratulated the person with Down syndrome who had joined ATREVIA. They lined up as she walked to the podium and applauded her because she had achieved the dream for which she had been preparing for so long: to join the workplace and contribute to society. 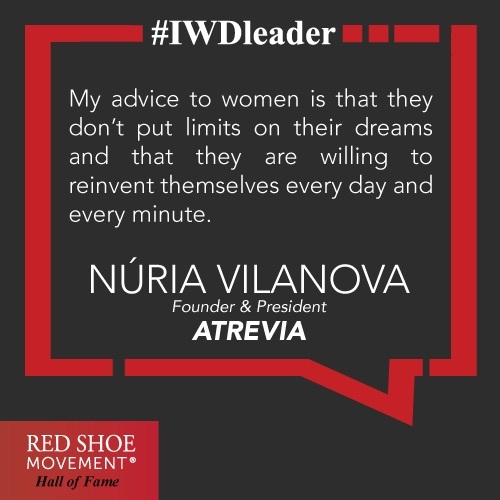 https://redshoemovement.com/wp-content/uploads/2018/02/Nuria-VIlanova-Quote-2.jpg 500 500 Red Shoe Movement https://redshoemovement.com/wp-content/uploads/2017/02/RSM-logo-website.png Red Shoe Movement2018-03-15 01:00:182018-08-17 18:49:10Nuria Vilanova Giralt: A Leader Who Rolls-up her Sleeves! If you want to know someone who can move mountains, look no further. 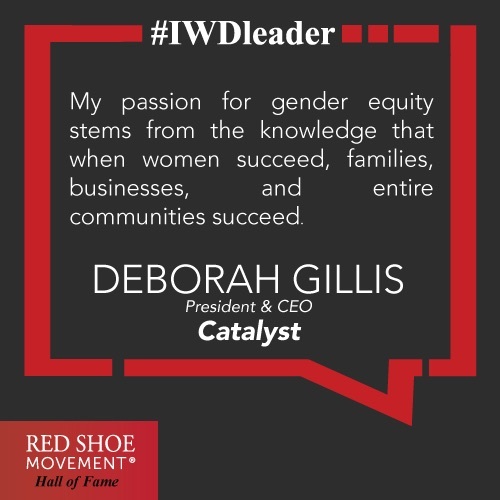 Meet Deborah Gillis, President & CEO of Catalyst, a global nonprofit that works with some of the world’s most powerful CEOs and leading companies to help build workplaces that work for women. Get inspired! 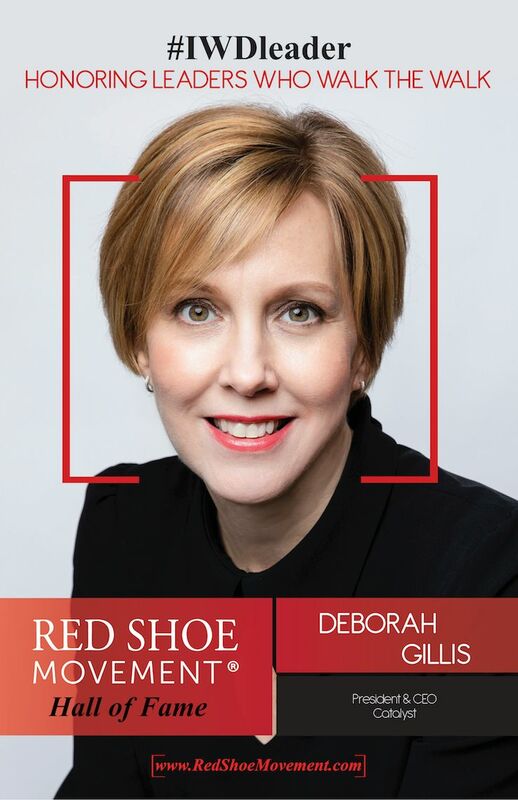 Deborah Gillis grew up in a small village in rural Nova Scotia and was motivated early on by a group of women who successfully advocated for gender equality rights to be included in the Canadian constitution. Starting in high school she’s dedicated her life and her career to giving everyone equal opportunity to succeed. From her work in the public sector on equal employment to her work at global professional services firms advising on strategies for aligning talent and business priorities; from her candidacy for elected office to her job as leader of Catalyst, Deborah’s passion for equality has permeated her entire life. 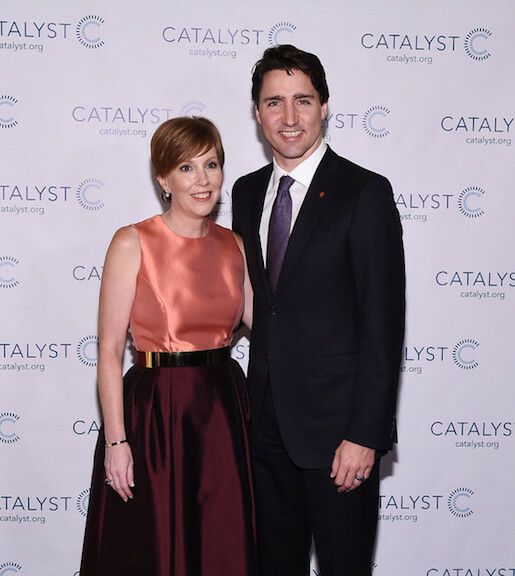 She joined Catalyst in 2006 as Executive Director of Catalyst Canada, became Chief Operating Officer in 2012, and then President and CEO in 2014. In 2016 Deborah was named one of Canadian Business magazine’s 10 most influential Canadians. That same year she received the Foreign Policy Association Medal. In 2017, she accepted an honorary Doctor of Laws honoris causa from Cape Breton University for dedicating her life’s work to advocating for women’s rights and equality. She serves on the Board of Governors of St. Francis Xavier University. For her relentless work towards a more equitable workplace for women and for being a champion of champions, today we honor Deborah Gillis on our Hall of Fame. 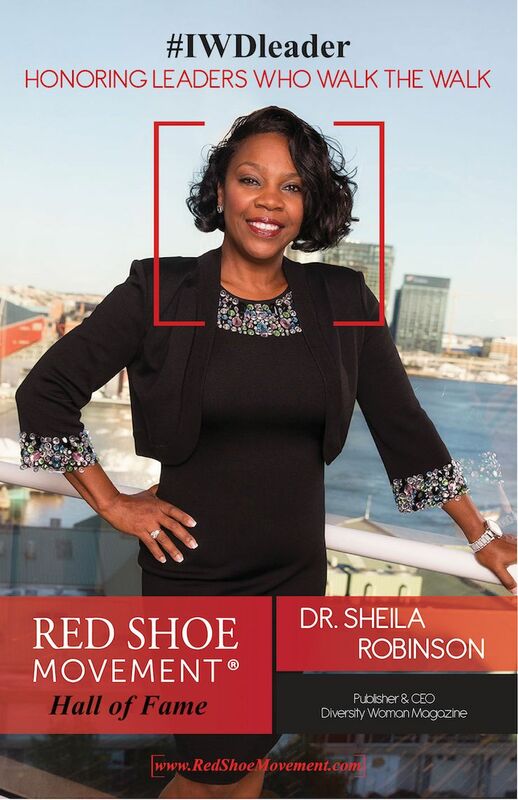 Red Shoe Movement— If you look back at all the years Catalyst has been doing research, have you seen substantial changes in the way companies deal with diversity and inclusion? Deborah Gillis—The biggest change that I’ve seen is that companies now recognize that diversity and inclusion is not just a women’s issue, it’s a business issue. And it needs to be treated as a business issue—with formal goals and accountability for meeting them. When people see their managers, senior leaders, and the CEO talking about diversity and following up with actionable strategies, they know it’s central to the company’s values and competitiveness. DG—I firmly believe there’s no such thing as women leaders and men leaders. There are only good leaders and bad leaders. I also believe that good leaders are inclusive leaders, who don’t simply get more women in the room—they make sure their contributions are valued and respected once they are there. In my experience, the best leaders give employees just the right amount of both freedom and support to get the job done well. They’re open to hearing and trying new ideas, and they know they don’t always have the right answer. They also don’t shy away from hard conversations—about performance and strategy, but also about “sensitive” issues like gender, race, or ethnicity. All of us can behave this way, no matter our rank, title, or gender—and we should lead inclusively whether it’s from a cubicle or a corner office. RSM—How do you think the current conversation on sexual harassment will change the workplace in the short and long term? DG—I’m hopeful that organizations will recognize that sexual harassment is a symptom of a culture that doesn’t treat women—especially women of color—as equals. 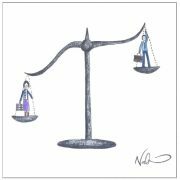 In the short term, leaders must immediately take a firm and visible stand for fairness and gender equality. 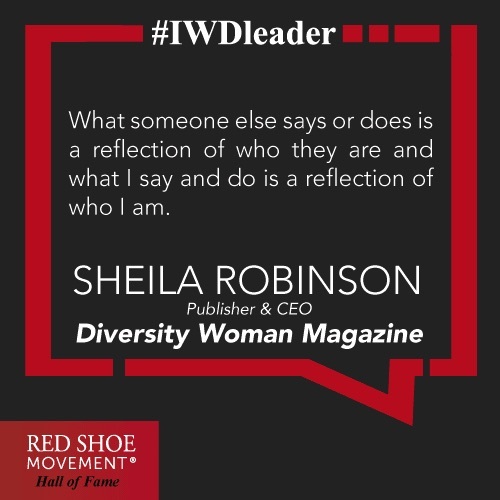 In the long term, I’d like to see more organizations taking a hard look in the mirror and then strategically building a culture where all women are welcomed, valued, developed, and advanced. This has been an incredibly difficult time for the women who are coming forward, but I hope and believe this movement will be the catalyst for real and lasting change. Collectively, we must ensure that it is. We can start by advancing more women, particularly women of color, into senior leadership positions and onto boards. Because power shared in workplaces is power much less likely to be abused. RSM—What are some of the best practices you’ve seen implemented in specific countries and/or specific organizations in those countries in order to accelerate the career trajectory of female talent? DG—In my role I travel a lot, and I’ve seen that women in different parts of the world have different needs based on cultural and social norms and how businesses operate in each region. For example, in Mexico and across Latin America, traditional gender and family norms are strong, so helping women manage both their careers and family responsibilities is essential to supporting their advancement. An example I love is how PepsiCo Mexico has done this by establishing the Female Executive Council, which has helped design policies and strategies to support women returning from maternity leave and other working mothers, such as a formal structure for flexible and part-time work options, part-time job opportunities, and a condensed work week. These programs now benefit all employees—women and men—demonstrating how workplaces that work for women work for everyone. 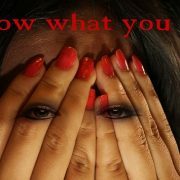 Another critical issue in Latin America, and everywhere really, is creating champions, mentors, and sponsors for women. 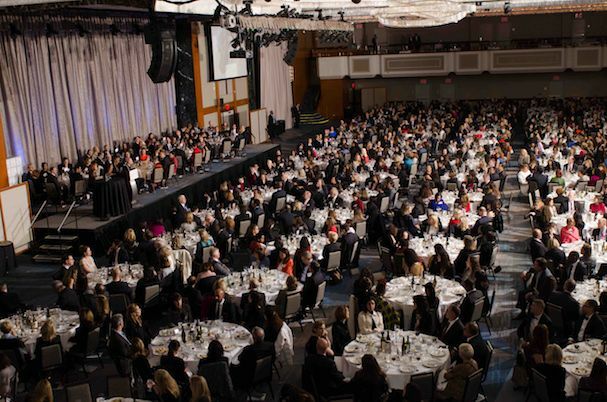 Avon has successfully addressed this issue by launching a program called Women in Leadership. The first class of participants came from Brazil, Chile, Colombia, and Mexico, and they were given access to formal training programs, exposure to senior leaders they otherwise would not have, help with career planning, assignments that broaden their experience, and mentorship from senior executives. The piece that I really like about this program is that participants are asked to “pay it forward” by developing a legacy project that will inspire their fellow female colleagues. RSM—How will the Millennial generation flip the script on gender inclusion at the top? DG—The Millennials I know at Catalyst and beyond are passionate about their community and making a difference. They want to solve problems and they are eager to contribute—to much more than just their companies’ bottom lines. For many of them, gender roles and expectations, as well as gender itself, are fluid. For those of us who have grown up with narrower conceptions of gender, it can be a new experience to embrace a more ambiguous notion of a core part of our identity. Millennials and others who are driving this conversation have challenged us to rethink what’s “normal”—and how we can get to a new normal that is more inclusive. That diverse thinking is going to be a transformational and positive force for inclusion and the way all of us work together. RSM—What are one or two mistakes you’ve made in your career that you remember the most? And the lessons learned? DG—In Tokyo a few years ago, I was with colleagues waiting for taxis on a busy street, when someone yelled a sexist, racist slur at a member of my team. We were all shocked, but no one said anything. I wanted to call her, but with the added element of race in the mix I was terribly afraid to say the wrong thing. So I stayed silent—for weeks. Then I read new research from Catalyst that showed how toxic silence can be. Finally, I summoned my courage, and said, “I’m deeply sorry. That was wrong. I should have said something.” She appreciated the support, even as late as it was. And I was reminded that courageous conversations are the first step toward healing wounds, opening minds, changing behaviors, and building workplaces where everyone has a fair chance to succeed. It was a difficult and profound lesson that my heart won’t forget—saying something is always better than saying nothing. RSM—Who were some of the most influential men and women in your career other than family members? How exactly did they influence you? DG—When I was a 23-year old legislative intern, one of the elected representatives I worked with ultimately became a friend, mentor, and sponsor. He took me under his wing and later used his influence to recommend me for a high-visibility project that positioned me for a great opportunity. 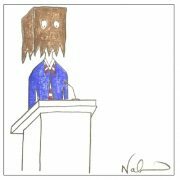 Looking back, I can draw a straight line from his sponsorship to the opportunity I later received to run as a candidate for elected office. Beside the career support, he also showed me that great leaders are humble. He admitted he didn’t have all the answers, and he shared his mistakes openly, asking for help when he needed it. He earned our team’s trust and respect, by trusting and respecting us in turn. To this day, I think of him as a role model for the kind of leader I want to be. Another major influence was my first boss out of university, who encouraged me to think about my career as a toolbox—and every new assignment as an opportunity to add a new “tool” that I could carry with me to the next role. If I was going to add a tool to the box, I needed to take full and complete responsibility for it—I needed to own it. Through him, I learned that people do their best when they are treated like they are capable of their best—and promised the opportunity to prove it. RSM—Can you share with us the story of a person’s life or career that changed thanks to you? DG—Before I joined Catalyst, I ran for a seat in a provincial election in Nova Scotia, where I’m from. As I was canvassing for votes, I met one young girl who listened intently when I explained that I was running to be in the Legislature. Her response? “I thought only boys did that!” She wasn’t the only one—throughout the campaign, I saw girls begin to recognize that no future is “only for boys.” I’m looking forward to the day that one of those young women becomes Premier! Another young woman I am proud to inspire, and be inspired by, is my niece Haley. A few years ago, she went to school and declared a personal day of silence—no small feat for a thirteen-year-old! On that day, when Haley was approached by a student or a teacher, she gave them a small piece of paper that explained her actions as an expression of solidarity with Nobel Prize laureate Malala Yousafzai and girls around the world who had been denied the right to attend school. By choosing to make the injustices facing girls in another part of the world her problem, Haley’s silence echoed loudly across her school and community. Wonder no more how to attract the best career opportunities. Beth Marmolejos is an example of how when you build a reputation of integrity and commitment, the opportunities find you. 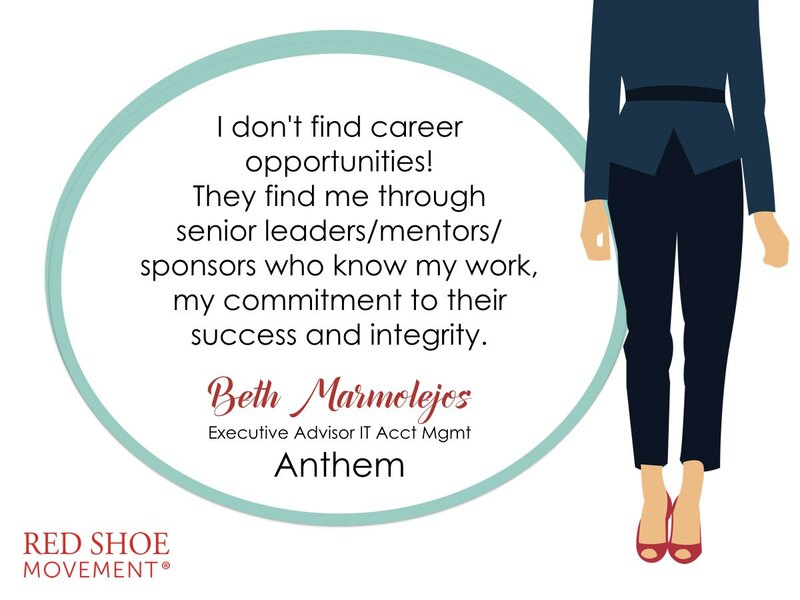 Beth Marmolejos is an Executive Advisor in the IT Account Management area at Anthem (the largest for-profit managed care company within the Blue Cross Blue Shield association,) and she serves as the Chief of Staff for the Women’s Inspire Network Associate Resource group. But that’s just her day job. 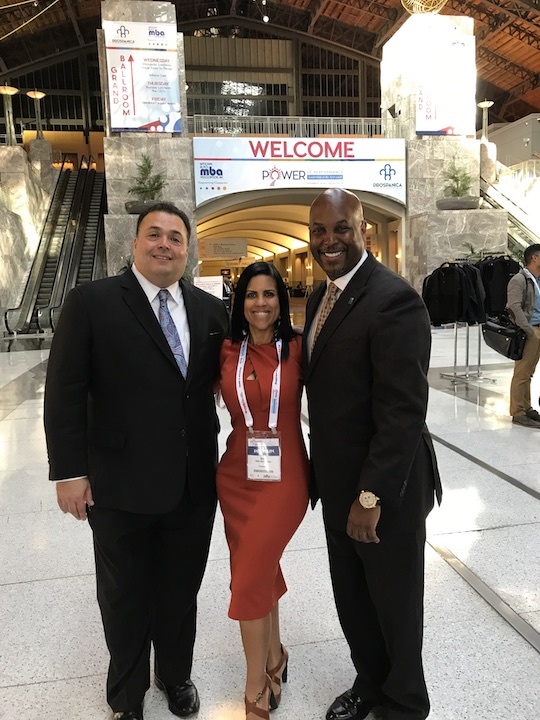 She’s also the President of the New York Chapter of Prospanica (formerly NSHBMA,) and the Vice Chair of the Passaic County Workforce Investment Board, among several other volunteer positions she holds. Beth has received many awards from local, state, federal, corporate and non-profit organizations for her leadership and community work. She has crafted a professional life that fits her style, her passions and her goals. It is through these multiple commitments that Beth Marmolejos creates career opportunities for herself and for those in her network. As president of the NY Chapter of Prospanica (Formerly NSHMBA) Beth Marmolejos creates career opportunities for others. RSM— You’ve had quite a career trajectory. Tell us about some of the highlights and how you tapped into the various career opportunities that presented themselves along the way. 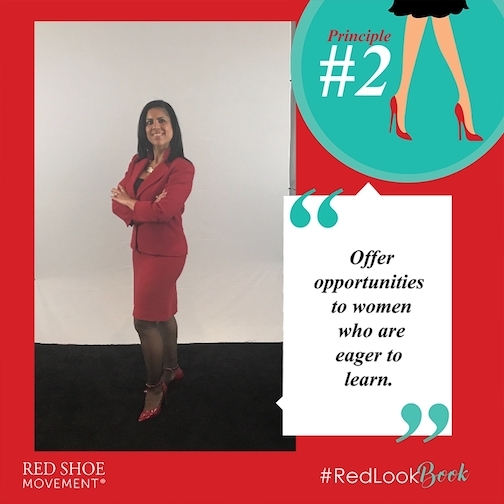 Beth Marmolejos (BM)— I started my journey in the business world without a degree at an entry level in the Accounting Department at Express Scripts (formerly known as Medco Health Solutions.) While there, I was able to get my under graduate and graduate degrees, 80% of which were paid for by my employer —as long I got a B or better in my classes. It took me over 10 years to obtain my education. I was able to move within the Finance area to different roles that helped me prepare for the role of “Controller/Director” of Finance for a subsidiary that my company bought. A subsidiary worth two billion dollars. That propelled me to a leadership position and it opened a world of career opportunities for me. In 2013 I took a leap of faith and left to work in New York City for Empire Blue Cross Blue Shield under the leadership of the amazing Brian Griffin, who was a colleague of mine at Medco. The highlight of this move was that I got promoted within six months because I led a project that saved the company $1M. Then, one of the senior leaders at Empire BCBS in NYC recommended me for an Executive Advisor role in IT as the Chief Information officer for the State of New York and Wisconsin at the Enterprise level for our Parent company Anthem. Take note of the secret to attract great career challenges to yourself. RSM— You wear several hats. From being the CIO for NY and Wisconsin at Anthem to being the President of Prospanica NY Chapter and serving in different capacities on other non-profit boards. With all that’s already on your plate, how do you constantly find career opportunities to help you continue to grow? BM— I don’t find career opportunities…they find me through senior leaders/mentors/sponsors who know my work, my commitment to their success and integrity. 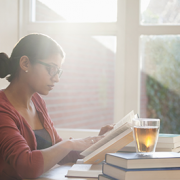 RSM— What are some of the strategies that help you stay focused with each one of your multiple responsibilities? RSM— Do you find that creating career opportunities for others is a natural way of opening doors for yourself? BM— Absolutely! When you lift others up and help them by opening doors it creates an advantage for you. What goes around, comes around! Make sure that you spread tons of positive energy around as you build your own career. Learning how to network strategically is another way to open up career opportunities. RSM— What are three top pieces of advice you’d give people looking for greater career opportunities within their organizations? RSM— Any different advice for those looking for career opportunities in a different company or who are currently out of a job? BM— Yes, get involved in organizations such as Prospanica, of which I am the NY Chapter President, and you will have access to tons of career opportunities. RSM— What’s the next big project you’re working on right now? BM— I’m focused on a couple of upcoming events we are organizing with Prospanica. Celebration of Achievements – where we will give out scholarships on 11/27/17 at Oppenheimer Funds. At a personal level, my next big project is to obtain my Agile SAFe Training certification. 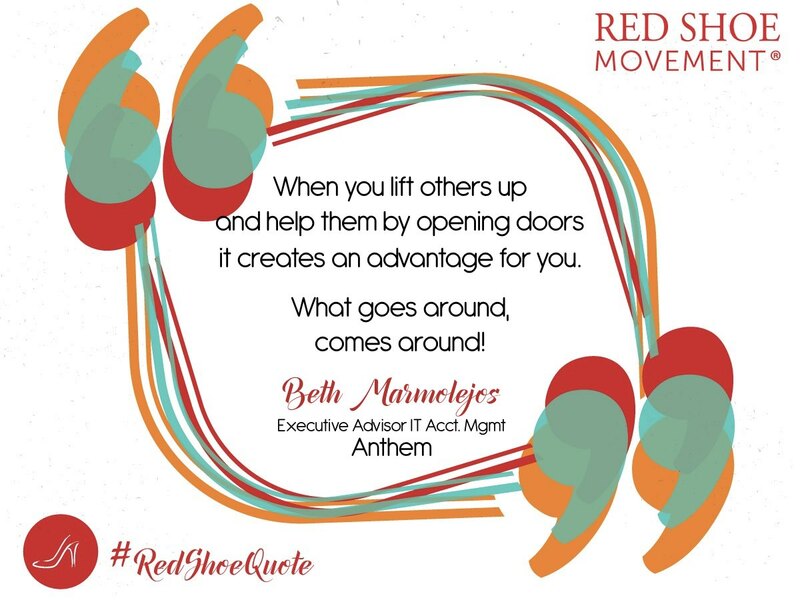 https://redshoemovement.com/wp-content/uploads/2017/11/Inspirational-quote-by-Beth-Marmolejos.jpeg 500 500 Red Shoe Movement https://redshoemovement.com/wp-content/uploads/2017/02/RSM-logo-website.png Red Shoe Movement2017-11-16 11:55:142017-11-23 14:13:21Be a Magnet for Career Opportunities. Learn from Beth Marmolejos!